I love writing stories about how blockchain technology is becoming a bigger part of our lives. Technologies that improve trust, security, and frictionless peer-to-peer exchanges are ultimately good for the world and people. I consider myself a blockchain historian of sorts and I do this because I think DLTech and decentralization is important for the future of humanity. I try to keep tabs on what different platforms are doing and I’ve been really impressed with Binance Labs (Medium). Binance Labs has launched a new (not so new anymore) Incubation Program for cryptocurrency startups to foster promising early-stage blockchain companies and the ecosystem as a whole. As we observe blockchain adoption occurring in more ways than we can count, even in the heart of the crypto winter, blockchain startups have strong use cases too. Facebook can piggy back crypto for WhatsApp monetization, but there are groups of engineers in the space doing real work that’s amazing. Binance Labs is just really cool. 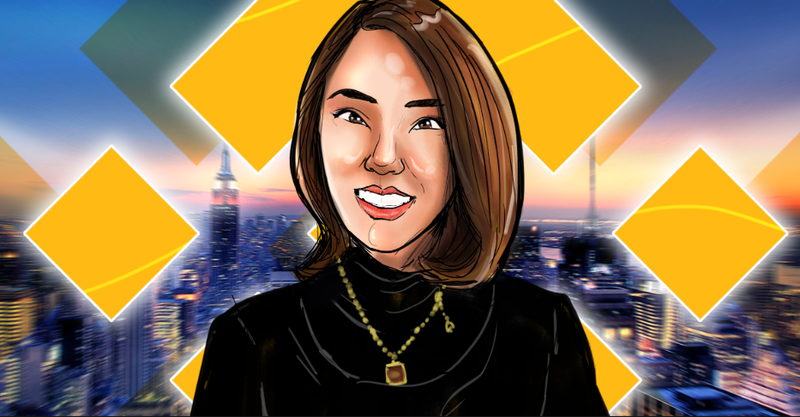 Binance is focused on solving the most critical problems facing the blockchain industry by putting an emphasis on mentorship, guidance and education. $500k for a 10% stake is most often a good deal for both parties. During a recent interview with TechCrunch, Binance Labs CEO Ella Zhang said that each batch would be comprised of 8–10 blockchain startups. You can see the first batch featured on Binance Labs YouTube. There’s also been a second batch now. This incubation program has the potential to scale well and create some winners. While any list like this will be subjective, here are the startups that stood out to me recently in my research. The use case of Contentos is rather straight forward, it aims to be a Decentralized global content ecosystem. You can read the press release here. It integrates with Live.Me among other app partners and Dapp ecosystems. If Binance Labs is an incubator and social impact fund that invests in top projects, Contentos is one of Asia’s most promising answers to creating a decentralized global content ecosystem that injects better incentives to micro video, in-app experiences and the live streaming phenomena. Here is Contentos’s page on Binance. The use case of Contentos is so on point it’s a no brainer. Earning their altcoin is also really straight forward. Given the rise of live streaming, crypto and micro video in Asia, the ceiling for Contentos is rather high. Let me just say off the bat, I’m impressed with Nym’s Manifesto. Nym is a project to break surveillance’s stranglehold on the internet. I can totally relate to that. Nym Technologies is creating a tokenized mixnet to support “full stack” privacy-enhancing services, with an initial focus on anonymizing cryptocurrency transactions at the network level. Swiss based, Nym plans to support network level anonymity for the top privacy coins and is also working on an anonymous Bitcoin side chain providing fully anonymous Bitcoin transactions. As the entire internet is pivoting to privacy and walled gardens, Nym Technologies will show just how private blockchain can be to empower people. A lot of Gen Z are passionate about the human right for anonymity. The cypherpunk dream companies are coming. Another Taiwanese blockchain startup I have my eye on is Decore. Decore provides a full-stack software suite to make it super easy to run crypto native companies. That’s an incredible niche to be in. When running crypto native companies today, it’s surprising that there are no SaaS like Gusto, Quickbooks and Expensify available to crypto founders. I like the background of the founders. Both founders have had M&A exits from previous SaaS startups. They seem to understand the pain points blockchain startups have and so it’s really engaging to see what they are planning to create. Blockchain startups that have one foot in the real world make the most sense to me. So instead of building a whole new crypto software stack, they are helping crypto companies and accountants to solve the problems they’re facing right now and providing tools compatible with their favorably existing software. Based out of Shenzhen, China, SafePal makes the easiest and most affordable hardware wallets on the market. They leverage unique channels and go-to market strategies to boost the distribution and mass adoption of their flagship SafePal S1 wallet and have talent with experience in such companies as Huawei and Tencent. Their niche has tremendous potential since they are aiming to provide a solution that means users don’t need to compromise between user experience, asset security and cost effectiveness. SafePal was the first hardware team invested in by Binance Labs. Blockchain BUIDLers are truly at the leading edge of innovation since their uses cases mean upgrades for the internet and the decentralized economy. Binance Labs remains one of the most exciting and high-profile blockchain startup accelerators. While the crypto winter has been hard on blockchain startups, blockchain adoption is rapidly accelerating in ways that are difficult to anticipate. One thing is clear, Asia is rising as a FinTech, blockchain and cryptoeconomic powerhouse and from Singapore to Taiwan, there’s more blockchain startups in unlikely places than ever before. From Malta to Estonia, Zug Switzerland to South Korea, cryptoeconomics is stimulating innovation and blockchain startups are a big component of how that is working on a global scale. You can follow Binance Labs on Twitter here. As blockchain accelerators mature, some of those companies will change the world and transform the future. Those are the stories I’m looking for, so feel free to contact me.